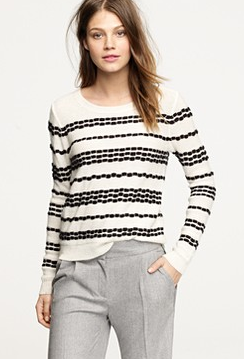 Fair Isle sweater usually look super traditional and kinda preppy boho, but this one looks fresh and modern thanks to its black and white palette! It almost looks like graphic stripes - very cool! Buy at J. Crew for $128.